Ethics Notes Pdf Balyan Sir Complete Notes Download -270 Pages -Hello friends Welcome to StudyDhaba.Com .Here We are Sharing Ethics Notes Of Balyan Sir for UPSC Mains 2017 Exam. 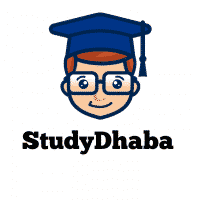 Note – Studydhaba.Com Is a legal website .We do not host this file . If You found any Copyright Violations than you can Contact us . We Will Remove This Link .